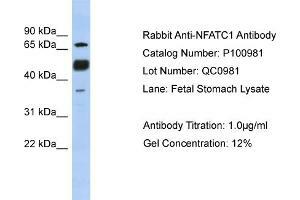 Rabbit Anti-NFATC1 Antibody Formalin Fixed Paraffin Embedded Tissue: Human Adult liver Observed Staining: Cytoplasmic in bile ducts and in sinusoids not in hepatocytes Primary Antibody Concentration: 1:600 Secondary Antibody: Donkey anti-Rabbit-Cy2/3 Secondary Antibody Concentration: 1:200 Magnification: 20X Exposure Time: 0.5 – 2.0 sec Protocol located in Reviews and Data. 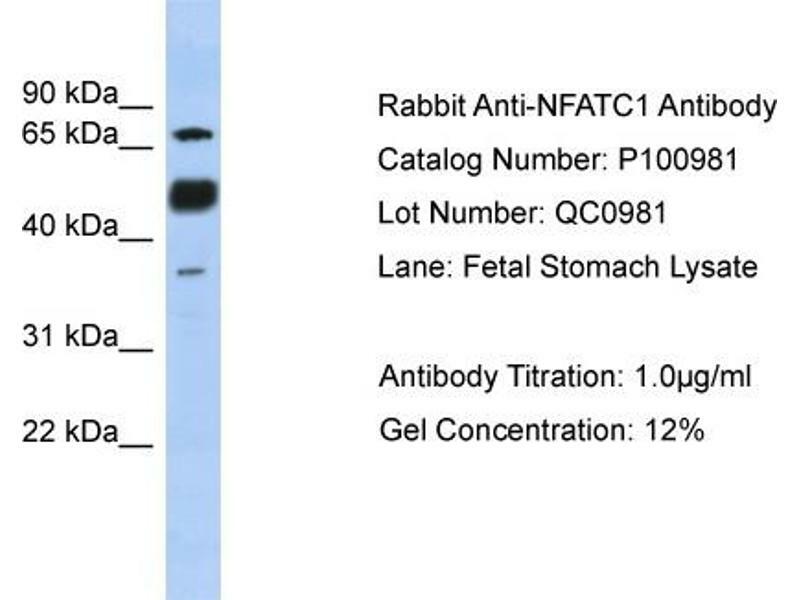 Characteristics This is a rabbit polyclonal antibody against NFATC1. It was validated on Western Blot using a cell lysate as a positive control. 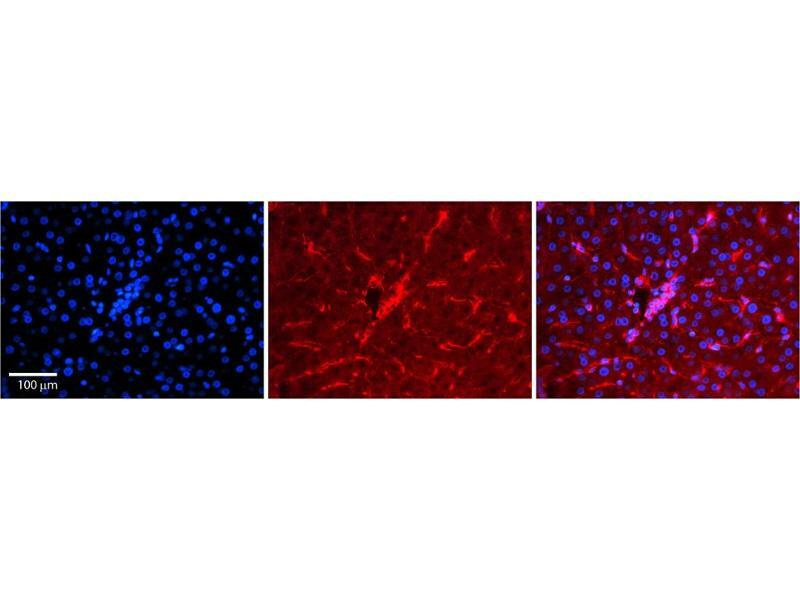 Background NFATC1 is a component of the nuclear factor of activated T cells DNA-binding transcription complex. This complex consists of at least two components: a preexisting cytosolic component that translocates to the nucleus upon T cell receptor (TCR) stimulation, and an inducible nuclear component. Proteins belonging to this family of transcription factors play a central role in inducible gene transcription during immune response. The product of this gene is an inducible nuclear component. It functions as a major molecular target for the immunosuppressive drugs such as cyclosporin A. 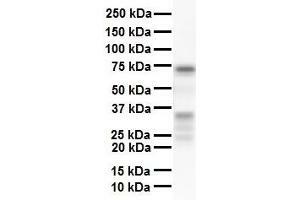 Different isoforms of this protein may regulate inducible expression of different cytokine genes. 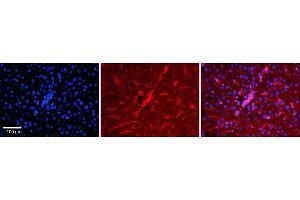 The product of this gene is a component of the nuclear factor of activated T cells DNA-binding transcription complex. This complex consists of at least two components: a preexisting cytosolic component that translocates to the nucleus upon T cell receptor (TCR) stimulation, and an inducible nuclear component. Proteins belonging to this family of transcription factors play a central role in inducible gene transcription during immune response. The product of this gene is an inducible nuclear component. It functions as a major molecular target for the immunosuppressive drugs such as cyclosporin A. 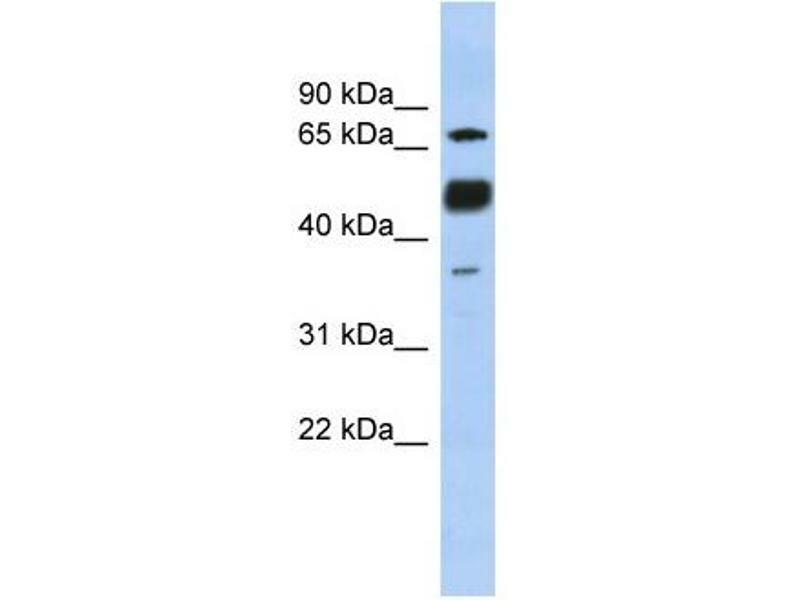 Five transcript variants encoding distinct isoforms have been identified for this gene. 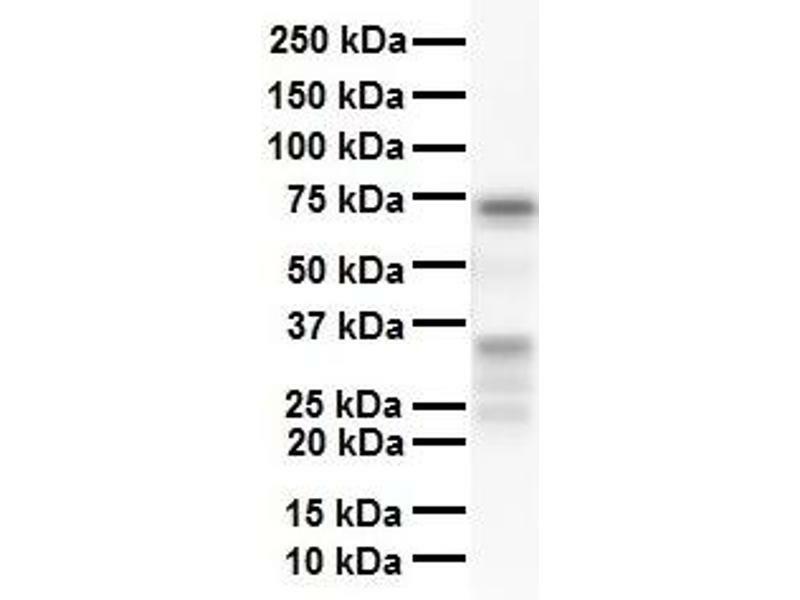 Different isoforms of this protein may regulate inducible expression of different cytokine genes.